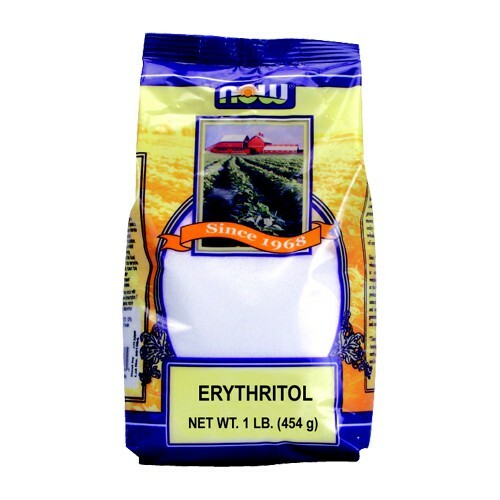 NOW Erythritol Natural Sweetener - 1 lb. Erythritol, a ployol (sugar alcohol), is a good-tasting sweetener which is suitable for a variety of reduced-calorie and sugar-free foods. Erythritol, a ployol (sugar alcohol), is a good-tasting sweetener which is suitable for a variety of reduced-calorie and sugar-free foods. It can be used as a sugar substitute in most sugar-free recipes. Erythritol has been part of the human diet for thousands of years due to its presence in foods such as pears, melons, grapes and mushrooms. NOW Erythritol is 100% pure and derived from a corn source. Erythritol resembles sugar in consistency and taste but has a caloric value near zero. It is also a great sugar alternative for diabetics. Directions Use as a sugar substitute. © 2017 Century Health Nutrition. All Rights Reserved.